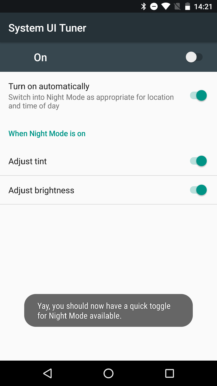 The saga of Night Mode on Android is a bit of a dramatic story that started with a sneak peek in Android M, disappeared, returned again in N dev previews, only for our excitement to be short lived as we learned that it might not make it to the final release. And make it, it didn't. With the latest dev previews and Nougat's official release, the signs of Night Mode started disappearing one by one. But there's hope after all. 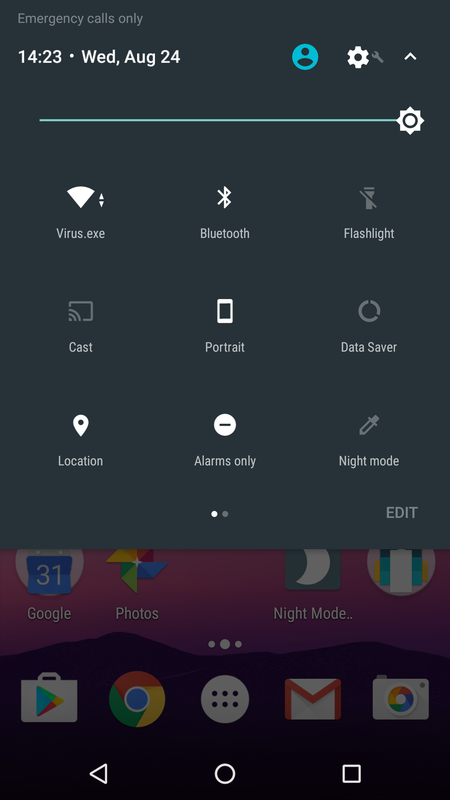 It seems that Night Mode is still hidden in the System UI Tuner, and all you need is an adb command to unleash it. The discovery was made by Vishnu Rajeevan and developer Michael Evans wrote a small app to make use of it for those of us who don't want to mess with adb. The app is simple. When you launch it the first time, you might see a message telling you to enable System UI Tuner if you haven't already (by long-tapping the Settings gear in the notification shade). 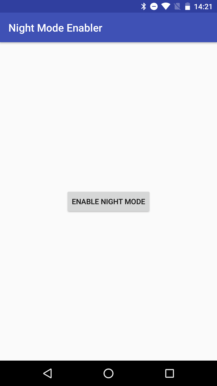 After you do, the app only shows one button: Enable Night Mode. Tap it and you'll be taken to System UI Tuner where the Night Mode toggle is there along with the options to change the screen's tint and brightness. 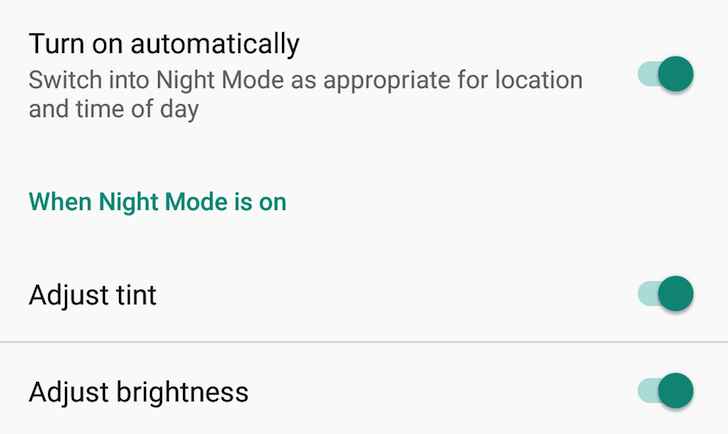 You'll also get back the Quick Settings tile for Night Mode. So far, the app seems to have done its job on my Nexus 5X. The tile is back and sticks after a reboot. 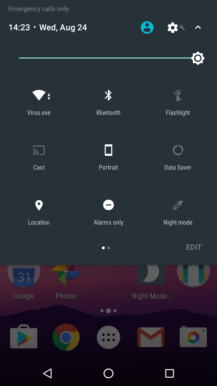 I can tap it to enable Night Mode manually, or wait for nighttime for it to switch automatically. Other users however are facing a couple of issues with the tile not showing up at all or disappearing when you quit the app. It's also worth noting that since this feature has been hidden from the users, it might also disappear in the maintenance releases of Nougat, or it might not be stable enough and could cause problems. 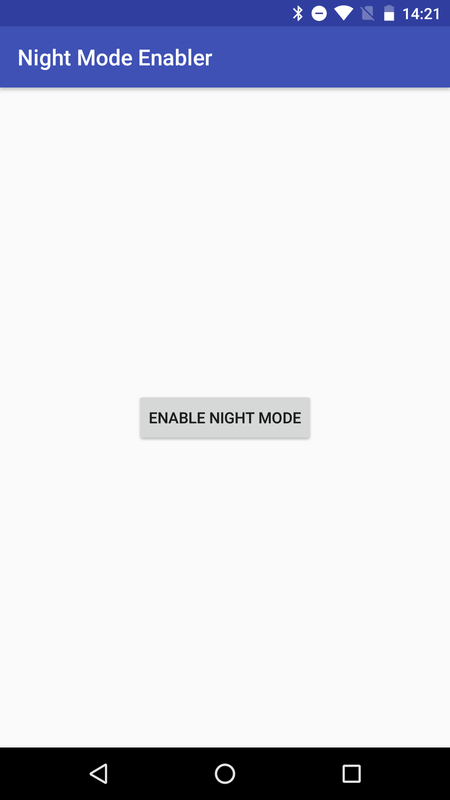 Night Mode Enabler is free and doesn't require root, so you can just grab it and give it a go to see if it works on your device or not.